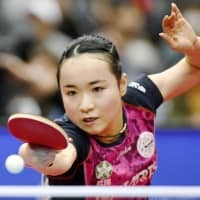 OSAKA - Mima Ito became the first table tennis player to win three titles for two consecutive years at Japan’s national championships after beating Miyu Kihara 4-1 in Sunday’s women’s singles final at Maruzen Intec Arena Osaka. Ito posted a 13-11, 11-9, 11-6, 9-11, 11-5 win over Kihara for her third trophy following wins in women’s and mixed doubles. 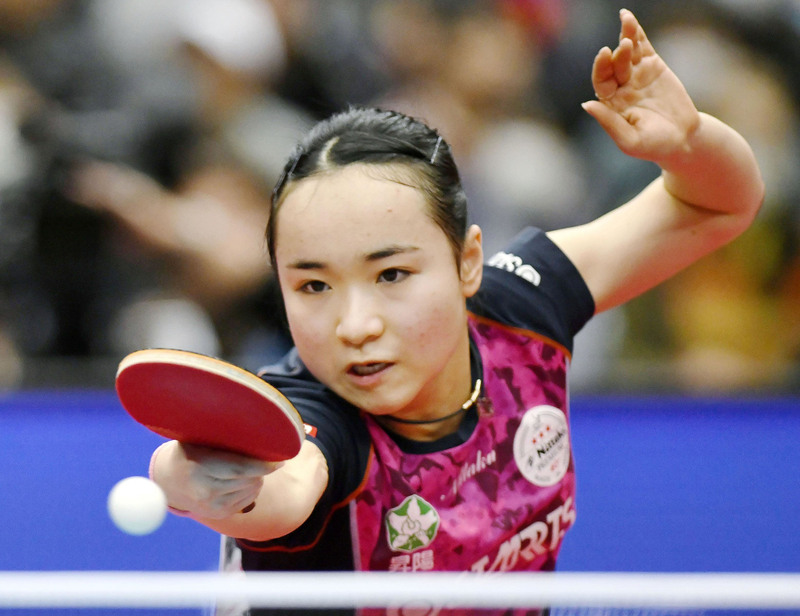 She cut Kihara’s hopes of becoming the youngest national singles champion at 14 years and five months. Most of the match went in Ito’s favor, until the fourth game when Kihara fought back from 9-3 down and claimed eight straight points. Ito quickly bounced back in the fifth game and sealed her win by only allowing her opponent to score five times. “I haven’t competed against (Kihara) so much, but I knew she would fight aggressively because she has beaten many strong players. I wanted to play as a challenger,” Ito said. Kihara staged one of the largest upsets of the tournament when she defeated world No. 9 Miu Hirano in the fifth round. Ito won the mixed doubles crown on Thursday with partner Masataka Morizono, and the women’s doubles with Hina Hayata on Saturday. In the men’s singles, Mizutani came from behind to defeat Oshima 11-13, 11-6, 11-7, 11-6, 9-11, 11-5 for his first singles title in two years. Oshima advanced to the finals for the first time by beating defending champion Tomokazu Harimoto 4-3 in the semifinals.